HomeNewsTales of the World: Radiant Mythology 3 New TGS Trailer Released! 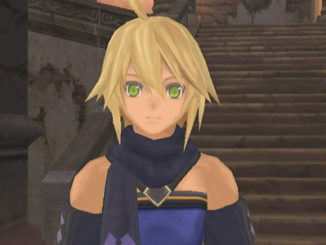 Tales of the World: Radiant Mythology 3 New TGS Trailer Released! The trailer that was shown during Tokyo Game Show 2010 has now been released in the net via NBGI's Youtube channel. 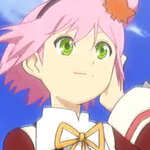 The trailer introduces the previously announced characters Ange Serena, Rita, Hisui Hearts and Loni Dunamis, together with a glimpse of their Mystic Artes. The three Kanonno's are also shown, together with glimpses of Spada Belforma (Tales of Innocence), Colette Brunel (Tales of Symphonia) and Senel Coolidge's (Tales of Legendia) cut-ins. 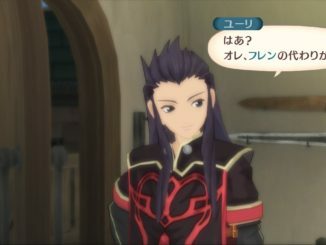 The other parts of the PV talk about the game's new features and the game's story. Rockspring's voice is also heard at the end of the trailer. 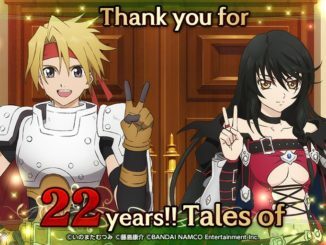 Happy 22nd Anniversary, Tales of!